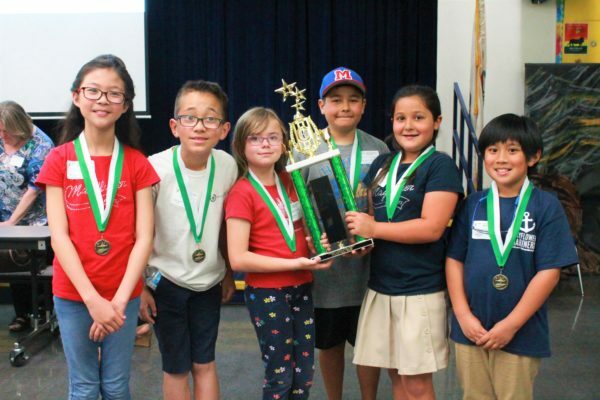 Monrovia Unified elementary school students participated in the District’s second annual Next Generation Math Bee on April 18, an event that aims to nurture mathematical skills in students. Students enthusiastically solved equations, while at the same time growing a passion for mathematics. After the judges tallied the points, the Mayflower Elementary Mariners were awarded the first-place trophy. Follow-up Story: Nearly 80 Monrovia Unified parents received certificates of completion for the Parent Institute for Quality Education (PIQE) at Monrovia High School on Nov. 28. 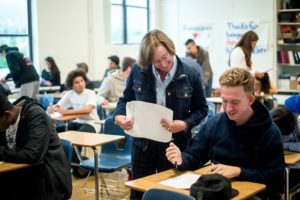 The eight-week program promotes a college-going and career-oriented culture by educating parents through workshops, including college entrance requirements, financial aid and how to advocate for their students. Children of PIQE graduates can receive priority admission to the California State University. Follow-up Story: More than 650 Clifton Middle School students took a walking field trip to a nearby theater on Nov. 17 to watch “Wonder” as a culminating event to Kindness Week. 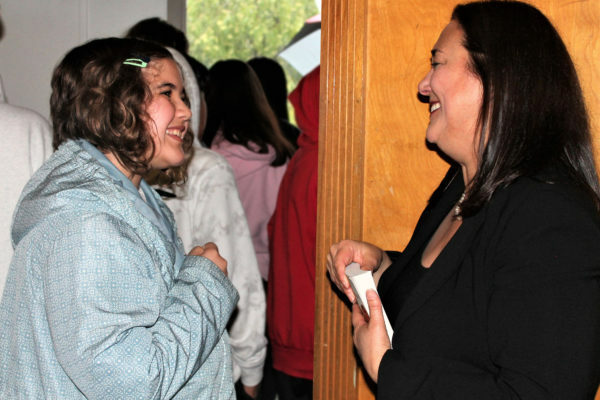 The film shows the struggles of a middle school student with a genetic disorder trying to make friends. 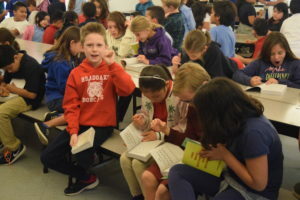 Clifton sixth-grade teacher Nikole Burgess prepared her students for the screening by showing the film trailer and reviewing the book. 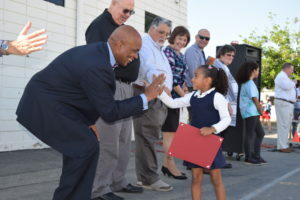 Follow-up Story: Monrovia Unified School District has been named a water smart school district by the Upper San Gabriel Municipal Water District (Upper District). Upper District honored Monrovia Unified during the organization’s Waterfest 2017 on Oct. 14, commemorating completion of four months of water conservation upgrades. Follow-up Story: Vanessa Lee, a Monrovia High School Class of 2017 graduate and current Vanguard University freshman, has her sights set on a career in public service after receiving a California Legislative Black Caucus (CLBC) Certificate of Recognition from Assemblyman Chris Holden over the summer. Lee spent her final semester at Monrovia working as an intern for the CLBC Young Legislators program, traveling to civic institutions in Southern California to observe the roles of municipal services. In July, Lee went to Sacramento to take part in a weeklong workshop studying issues of concern to future leaders. Monrovia High School will honor community veterans at 9 a.m. Thursday, Nov. 9 at its Memorial Rose Garden, 845 W. Colorado Blvd., Monrovia. The garden features plaques to recognize former students who served the United States. 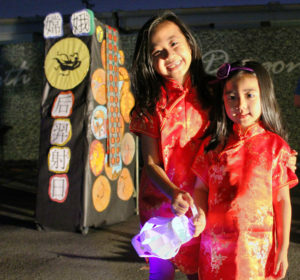 Follow-up Story: Plymouth Elementary families gazed at a rising, red moon through telescopes, made glowing multi-colored paper lanterns and tasted sweet Chinese moon cakes during the school’s first Moon and Stars Night, celebrating the mid-autumn, or moon, festival on Oct. 6. 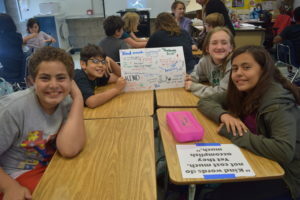 Plymouth offers a Mandarin dual-immersion program for students in kindergarten through second grade, providing an interactive academic environment for students to learn Mandarin along with the California Standards. The program aims to have students become bilingual and bi-literate in Mandarin while understanding and appreciating Chinese culture. Follow-up Story: State Sen. Anthony Portantino joined Monrovia Unified School District Village Extended School Program students and families for a Lights On After School celebration at Santa Fe Middle School. 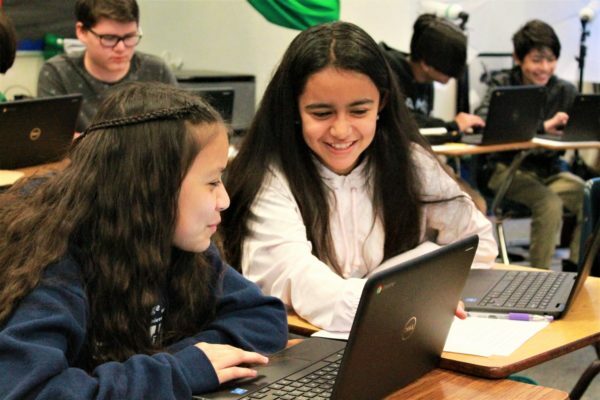 The award-winning Village Program, which provides before- and after-school support for over 600 elementary and middle school students, recognized high-achieving students from Santa Fe Middle, Monroe and Plymouth elementary schools.